"Love what you've done with the hair." is the message on the outside of this card. 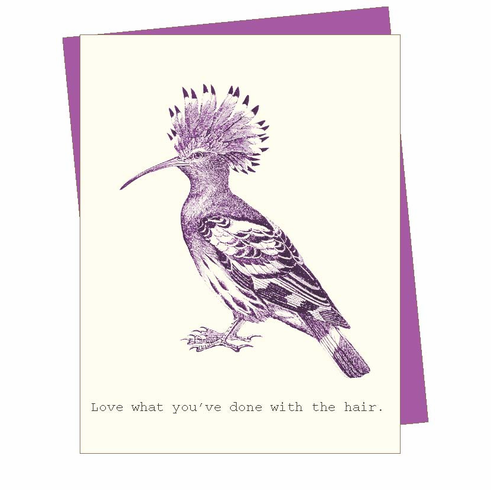 The image is a purple bird with insane hair. Just for fun. Blank inside.